With two fixtures for Brighton and Cardiff, the community have the all important Double Gameweek 34 tips. How should you set up your wildcard team to maximise returns? You can check out our Double Gameweek 34 wildcard team right HERE! Shane Duffy has seen plenty of transfer activity and is well placed as a captaincy contender for the Double Gameweek 34 tips. FPL Editor considers potential return values across the pair of fixtures. Harry Kane was set to be the top wildcard target and biggest captain candidate for the next two gameweeks. Ben Dinnery brings the prognosis of THAT injury picked up in the midweek Champions League fixture. FPL Anonymous analyses the relative fixture difficulty for the remaining five games this season. Arsenal and Southampton have the most favourable schedule from the teams with a remaining double Gameweek. Blank and Double Gameweek guru, Ben Crellin, shares his wildcard draft for the Gameweek 34 tips. After weeks of planning and an intricate spreadsheet, fantasy managers could learn a lot from this setup. … My rank has surged in the last four GWs but I haven't actually had to make a difficult long term FPL decision for over a month. A big dilemma for fantasy managers this weekend is the number of Brighton defenders to bring in. FPL Vs considers that their home defensive record is excellent, and the opposition have a poor record. Could it be enough to captain? Many managers have an active wildcard and are loading up on as many double gameweek assets as possibly. Jamie Vardy shouldn’t be overlooked as a single gameweek asset though: form and fixtures converge here. Surely worth keeping on wildcard? FPL Elf has studied the results of the reverse fixtures from those matches remaining this season. Things are looking promising for both Arsenal and Liverpool, who have all green and yellow in their past corresponding performances. It’s Sergio Aguero who tops the anytime goalscorer charts for the initial Gameweek 34 fixtures, with Llorente pipping Son as the go to option from Spurs – will either of them be guaranteed minutes in the absence of Kane though? Arsenal strikers are popular in the absence of Kane this weekend. Fantasy Football Pundits compares them in the latest FotMob player statistics: which one will you go for? Money may come into consideration here. Tempted to replace Harry Kane with one of the above for Gameweek’s 34 and 35? When it comes to captains, there tends to be two main unbreakable rules for FPL. However, with a lack of appealing attacking options for the double gameweek, it’s time to do the unthinkable. 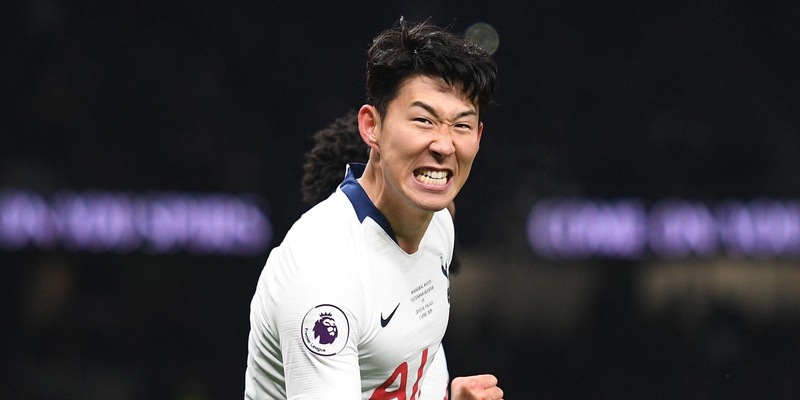 "I'll never captain a defender"
"I'll never captain a single game week player in a double game week"
With the strategy playing out for a Bench Boost in Gameweek 35, value players are necessary on the peripherals of our squads. Lateriser12 compared the midpriced midfielders for those wildcard teams. Mat Ryan l0oks to be a popular keeper option on wildcard, with rotating goalkeepers needed to maximise potential returns on Bench Boost next week. Legomane looks at all the potential pairings ahead of the deadline. We joined the panel to answer your community questions over on Fantasy Football Scout. There’s plenty of discussion with managers pondering over their wildcard sides. FPL Connect rounds up all of the key information from the press conferences for the Gameweek 34 tips. Are the big six sides set to rotate as their fixture is sandwiched between important European quarter finals? There’s plenty of Double Gameweek chat on the latest episode of the FPL All Out Attack podcast. Bear in mind these wildcard squads should be able to manage the transition to a Gameweek 35 Bench Boost. FPL Tips reveals which players you should target on this weekend’s contests over on Starting 11. Manchester City assets should be popular for the big money contest on Sunday. 🎥 | There are 2⃣ BIG games in Sunday's #GW34 daily fantasy contest on @starting11app, with Liverpool and Man City both in action. 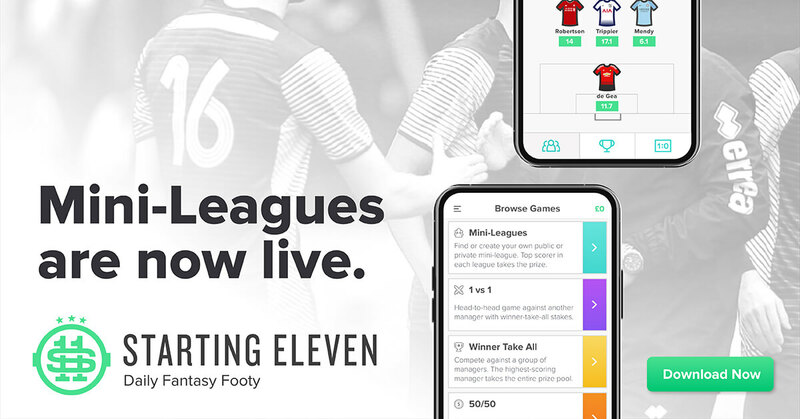 If you’re interested in competing in Premier League Daily Fantasy Football with us and many other community members this year, please download the FREE Starting 11 app today by clicking the banner below.